Joining in the fun hosted by Cee’s photography who I truly hope gets better quickly! I prefer my pizza white, no sauce. My favorite toppings would likely be listed as spinach and mushrooms although there are several other toppings that would go on the short list. Thin crust, double cut. Ooh yah I can smell it now. So many things really but for the purposes of this post I will say photography. Perhaps in the near future I will have a chance to take a course. What are three places you’ve enjoyed visiting? Tough question really as there are so many things that tantalize my senses when it comes to visiting new places. Probably the most beautiful place I have seen so far is Sedona AZ. We had no idea how glorious the drive would be as we headed south from the Grand Canyon. I thoroughly enjoyed my trip to Disney World earlier this year. I hadn’t been since I was a little girl, about a year or two after MK opened. Not one single thing I didn’t enjoy. The English pub in Boston and one the first cruise we ever took. Both have left lasting memories in my mind of great music with the entire pub singing along. Can’t beat that! Do you prefer eating the frosting of the cake or the cupcake first?I am not a big cupcake fan but if I do eat one I just bite in, frosting and cake together. The help I was able to offer to a new patient who was in so much pain on Monday; by Friday she was like a new woman. I felt like I witnessed a miracle. A week without homework—class is done! Earlier this year I submitted my name to the wait list of an local CSA. I was excited when last month I received an email informing me that I had the option to buy into the winter and upcoming summer shares. 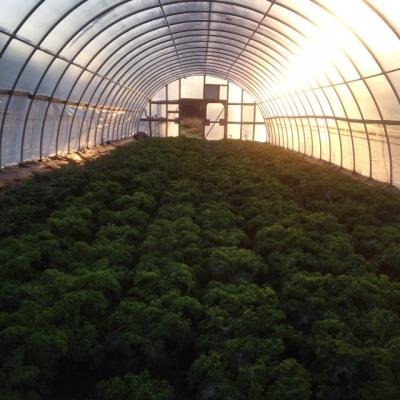 So what exactly is community supported agriculture? A CSA is a partnership between the farmer and the shareholder. The purchase of a share is an investment in the upcoming farming season. The CSA I have joined provides organically grown vegetables and herbs. The shareholder can purchase the size share that is most suitable for their family size. Weekly distribution will vary depending on crops in season. So why join a CSA? The cost and convenience of purchasing a share from a locally established organic farm makes sense to me. I get the freshest possible produce, grown locally. All of this decreases the cost of transportation reducing pollution. Plus the farm employees local people. It is WIN-WIN-WIN. What did my first winter share contain? On Friday I picked up my first winter share of produce. Unlike some programs I can actually pick and choose what I like. I went home with three full grocery bags, recyclable of course. My bags were filled with carrots, watermelon radishes, parsnips, onions, garlic, winter squash, brussel sprouts, cabbage, plus greens—kale, spinach, lettuce, leeks, and bok choy, all being grown in unheated green houses. On Saturday we made fresh eggs with leeks and spinach for a late breakfast and corned beef with carrots and cabbage for dinner. Completely fabulous food with farm fresh produce in December. Plus it gives me an excuse to try out some new Pinterest recipes. Below you will find the recipe of the week. I look forward to making this to accompany a farm fresh chicken. Chop carrots into long matchsticks. Drizzle with oil and toss to coat. Arrange in single layer on baking sheet. Roast carrots for 15 minutes, then remove from oven and toss with butter and maple syrup. Roast for another 5 to 10 minutes until carrots are browned but not burned. Stir with spatula to coat with glaze and serve. My Goodreads page tells me that I have exceeded my reading goal for 2014! Yay! It is kind of fun to glance back across the year to see where you have traveled in the pages of a book, or perhaps it’s a new idea or knowledge you have learned as result of reading, or some simple pleasure has been experienced. Whatever it is, books are a way of transporting us out of our circumstances into another place and time. As 2014 closes itself out I thought it would be fun to create a favorites review list at the end of the year so that maybe a reader of this blog might be intrigued to pick up something I have read. I enjoyed a few books in the young adult genre this year. My #1 pick is an old favorite to many. Anne of Green Gables absolutely delighted me this year. I chose an audio version and was completely enchanted with all of Anne’s antics. I remember reading it is a little girl but don’t think I was as smitten with it then. I encourage you to reengage with your youth by reading or listening to this book. Unexpected enjoyment came from a free Kindle read. 600 hours of Edward was a wonderful fictional story about a guy with Asperger’s syndrome and obsessive compulsive disorder. It’s not a medical book at all so don’t be put off. It is a story about how he deals with the world. And his father. This book made me laugh and cry. It gave me something to think about. It showed me something about redemption. A story about a book seller this novel caught my eye. It was in my Audible wish list for months prior to actually making the purchase. Once I started to listen I was initially concerned I would not like the story however that soon passed. I adored my time with A.J. and the rest of the characters from Island books. This book is not going to be for everyone. It is authored by 2 physician’s who work with the dying, one being expert Elizabeth Kubler Ross. The chapters each cover a topic learned from those who are facing death. It is not a morbid book whatsoever quite the contrary, it is meant to show the living a perspective of what is important as seen through the eyes of the dying. I probably learned more from this book than any other this year. Fabulous. Interesting. Captivating. The life experiences of Dr. Fong fascinated me. It is a medical book but not so complex that the non-medical reader could not enjoy the book for what it is, a fascinating illustration of the title’s proclamation, “extreme medicine”. This is a book about 5 days at a hospital in New Orleans at the time of hurricane Katrina. The research behind this book is top notch. The story is one of the most thought provoking I have ever heard. As a nurse I was completely intrigued by the circumstances and decisions these professionals faced during a serious crisis. For the first time I truly appreciated just how deserted the people of New Orleans must have felt at a time of such catastrophic devastation. We completely failed as a nation. Our healthcare setting was completely unprepared to handle a crisis of this magnitude. I don’t know if we are better prepared today than we were then. I know this book impacted me personally and professionally like no other in a very long time(perhaps ever). Definitely worth reading or as I did, listening to. Sometimes a book just reminds you why you love to read, travel into the lives of others becoming immersed in their world. This book was that reminder for me. Who would ever expect a story about a conservationist and a pack of elephants could enchant the way this did? I was moved by what the writer learned from his ventures with the elephants. I was drawn to the bush of South Africa with each chapter. I learned about a world I had no understanding or appreciation for prior to these pages. Another Audible listen, the narrator with his accent was wonderful, adding to the story drawing me in. Probably my favorite book this year. It is listed as fiction, fantasy, historical and is the debut novel for author Helene Wecker. This book was pure enjoyment for me. The narration was great. The storyline draws the listener into the setting of the early 20th century. The characters are extraordinarily well-developed. It’s a long story but I didn’t want to see it end. I hope the author has other inspiration to delight readers for years to come. What about you, did you read any of these novels? What books did you enjoy in 2014? Share a comment or write a blog post and link back. 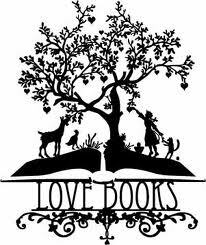 The love of books transports us to new places and experiences. Sharing them with others just expands that enjoyment. 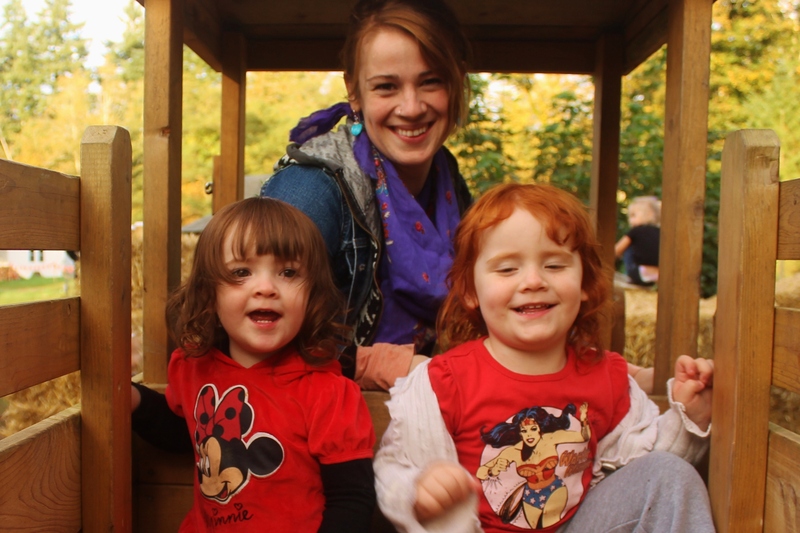 As I sat reading blog posts I was inspired to write a weekly reflection of sorts. My hope is to challenge myself to identify the beauty in each day and grow in gratitude as I realize all that I am blessed with. I wrote a brief post earlier in the week that I am sure if you read it you appreciated the undercurrent of strife with which I was contending. I received some great advice as a result of that post and continued to spend some time in quiet reflection pondering the situation. I realized that I don’t have to be stressed—it is a choice. Well I chose to let it go, surrendered it to God. You see the reason He exhorts us to give thanks in all things is because when we are being thankful and have a heart full of gratitude and a mouth of praise it is IMPOSSIBLE to be grumpy, stressed, unhappy or contentious. So as I look back at my week here are some of the things I choose to be thankful for. *Celebrating another birthday with my wonderful mom, sister, and daughter number 2. We are not all so fortunate to have so many lives to love who love us back. *Spending quiet time on my yoga mat, meditating, and praying. *Having a wonderful husband who cares enough to listen when I came home after an unpleasant day. Again not all are so fortunate. *Winning a book from Goodreads by an author I enjoy very much. I was thrilled to receive it in the mail and have already started reading. Prayer, by Timothy Keller. *Luxuriating at the Spa of Essex yesterday where daughter number 2 did my monthly facial after I enjoyed the steam room followed by the most scrumptious, engulfing chair you would every want to sit in! * Caring for beautiful, courageous women battling with breast cancer who daily bring encouragement and strength into my life. Today I had a message from a mom whose daughter I helped navigate the most complicated insurance problem I have ever encountered—the news—she was reinstated!! 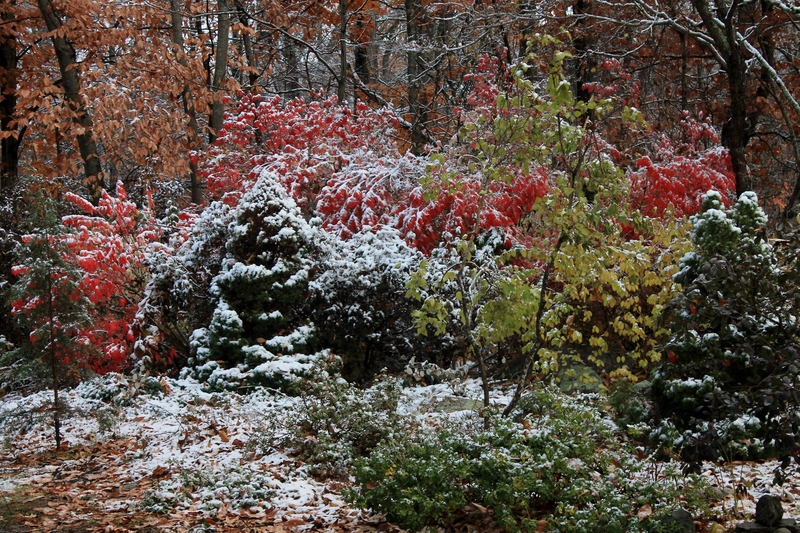 *I will even celebrate the snow powdered ground to which I awoke this morning. While winter is not my favorite season there is a still and quiet beauty that comes this time of year. I am encouraged by the simple splendor found in my daily life. I hope to make this a regular weekly post, please join me if you are up to the challenge! 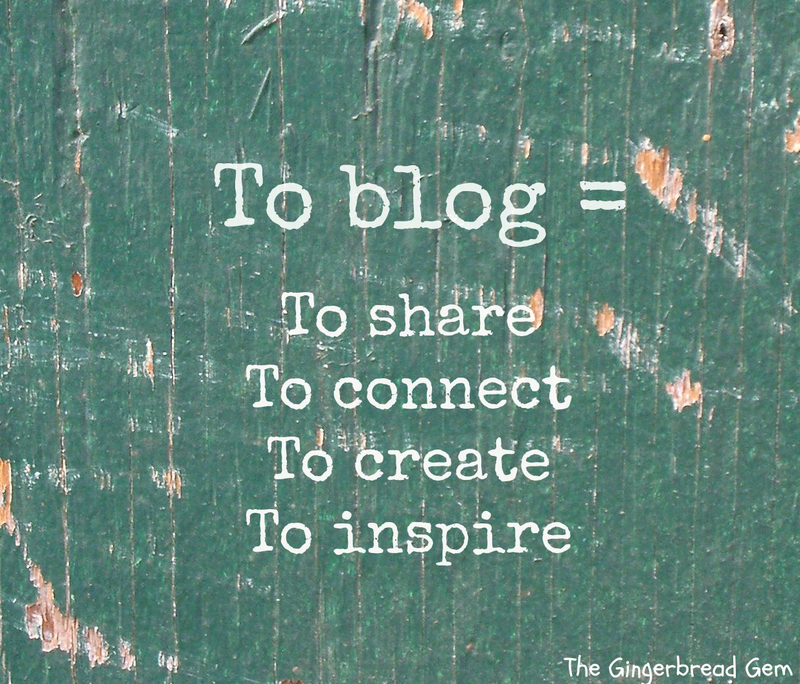 Blogging is sharing, developing and stretching ourselves through the shaping of our ideas. Blogging is about the community we become a part of by allowing our lives to become entwined with another. Blogging sharpens our ideas and perhaps gives us new ones. Blogging makes us laugh and sometimes leaves a tear. Blogging is real. So what happens when one day you wake up and wonder, “why did I stop blogging?”. Yes, life is busy and at my blogging peak I would spend considerable time in front of the computer reading and writing…often the problem in life is the inability to put down boundaries yet when we pick up a new hobby something in life’s schedule must change or we won’t have the time and ability to develop whatever new thing has caught our eye. I liked writing and I enjoyed reading my fellow blogger’s posts. Recently I had a comment from a fellow blogger just saying hi—even though I had not sat in this chair in over a year someone I “met” in blogosphere reached out and touched me, I find this truly remarkable. So why not come back? I am going to make a promise to myself to sit in this chair once to twice a week and write. 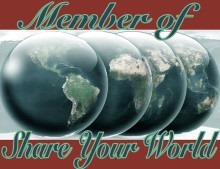 Share my world with others and let your world influence mine.